EC-OG is a cutting-edge Aberdeen engineering firm. Initially established as an engineering solutions provider in 2013, EC-OG has grown to become a first-class technology provider in the Oil & Gas industry. With a highly experienced multi-disciplined team, EC-OG offers exceptional knowledge transfer and cross-industry innovation.The company has signed up to test their cutting-edge Subsea Power Hub (SPH) at the European Marine Energy Centre (EMEC). 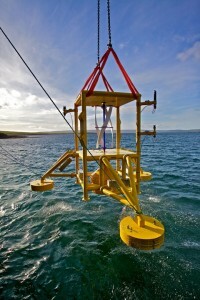 Sea trials of EC-OG’s first full-scale SPH system commenced in April 2017 at EMEC’s Shapinsay Sound test site. 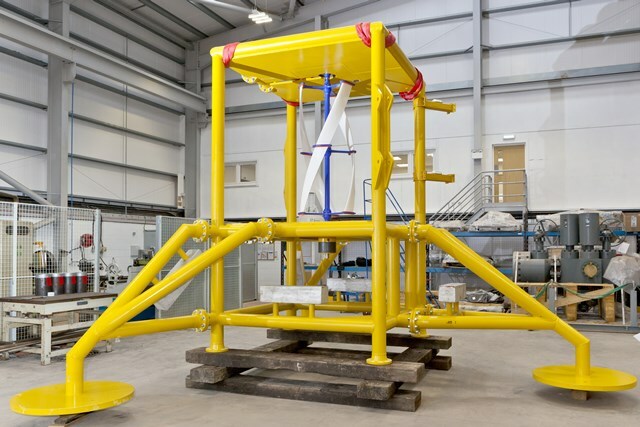 The test programme is a subsea industry first with the combination of a marine energy converter coupled directly to a lithium based energy storage system. Testing of this hybrid system will validate the technical capability needed to meet a number of immediate high value subsea power applications, thus fundamentally enhancing the value proposition associated with ocean currents.